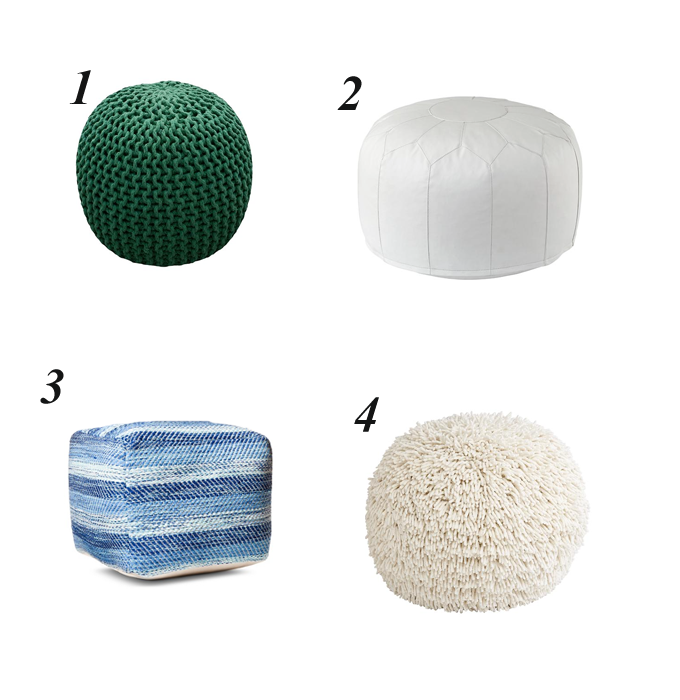 I love the idea of having a pouf as a coffee table. Not only does it save space, but it's also super kid-friendly (I don't have to worry about sharp edges). 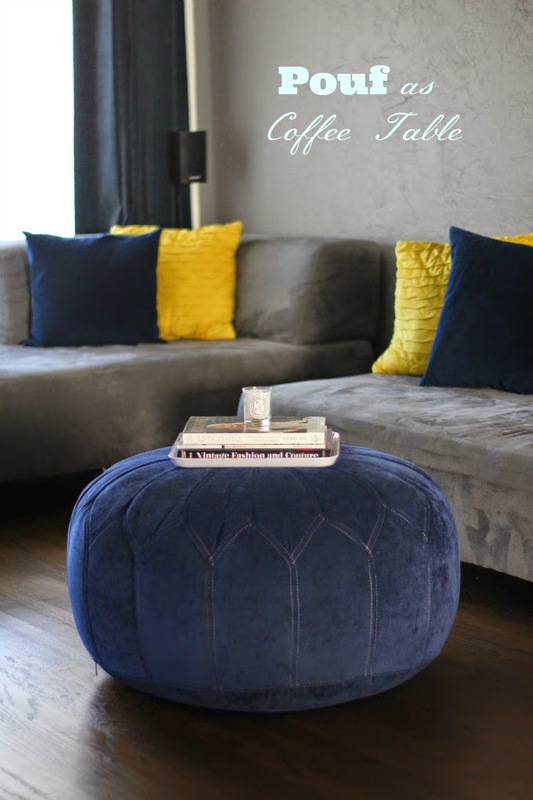 I recently found this navy pouf at Kohl's for just under $100 bucks.